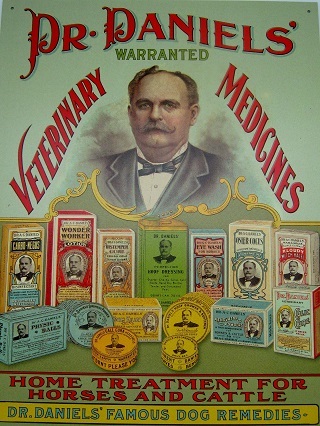 Dr. Daniels' medicine tin sign reproduced in 2005. A great gift for any Dr. Daniels' collector. It hangs very well in your bar, dorm room, family room, kitchen or anywhere you would like. The sign is 16" by 13" and has holes in top corners for hanging.